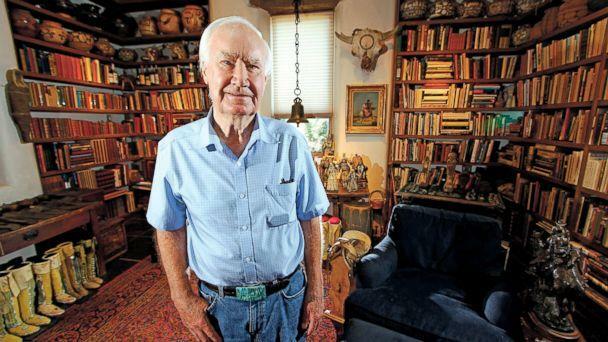 The New Mexico State Police chief is pleading with author Forrest Fenn to call off a treasure hunt he created that authorities say has resulted in the death of two people. "I want Mr. Fenn to retrieve the treasure or call off the hunt," Pete Kassetas, the chief of the New Mexico State Police, said in an exclusive interview with ABC News. "It's solely based in the interest of public safety." Kassetas said he "felt compelled to take a stance" on the treasure hunt after a body was recovered earlier this week in the New Mexico wilderness that police believe is Paris Wallace, a Colorado pastor who went missing after telling family members that he was searching for treasure hidden by Fenn. Kassetas said they are still awaiting final confirmation from medical investigators that the body is Wallace, but told ABC News, "we're very sure its him, unfortunately." Last year, the Santa Fe Police Department announced they found the remains of Randy Bilyeu, a 54-year-old man who also embarked on a quest to find the chest of gold and gems that Fenn, a Sante Fe author and antiquities dealer, says he hid somewhere in the Rocky Mountains. "I knew when it happened that my brother was not the first one and that he would not be the last," Bilyeu's sister, Kathy Leibold, told ABC News. "My brother thought he was on to something and he was focused on the New Mexico area." Fenn told ABC News in a 2015 interview that the chest contains 265 gold coins -- "mostly American eagles and double eagles, hundreds of gold nuggets, some as large as chicken eggs, ancient Chinese carved jade figures, pre-Columbian gold animal artifacts, lots of rubies, emeralds, sapphires and diamonds and other things." In Fenn's self-published 2011 memoir, "The Thrill of the Chase," he includes a poem with clues as to where to find the treasure. Part of the poem reads, "Begin it where warm waters halt / and take it in the canyon down / not far, but too far to walk / put in below the home of Brown." Leibold said her family asked Fenn to call off the treasure hunt when Bilyeu went missing but, "he wouldn't do it at the time." "We don't need false hope and I am scared this will happen to someone else," Leibold said. "It's been a living nightmare for our family. You never get over it. You cope and it's never easy." Kassetas said he has spoken to Fenn on multiple occasions and respects what he is trying to do, but maintains that the two deaths could have been avoided. "I want people to have fun and I want people to be adventurous, but the reality is ... when you have 2 million dollars or so, as its rumored to be, at stake, people make poor decisions," Kassetas said. "His ultimate goal is to get people outdoors, I understand that," he added. "But people, at least two, have died, and that's difficult for me to fathom and accept as the chief of the state police here in New Mexico." Kassetas said he is also concerned about the lives of other police officers and search and rescue crews at risk. He urges those who continue to search for the treasure to educate and equip themselves. "Mr. Fenn has told me personally that he has not put this treasure anywhere where it will cause harm to anybody," Kassetas said. Mitzi Wallace, the wife of Paris Wallace, the Colorado pastor who authorities believe died in pursuit of Fenn's treasure, said she does not blame the author for her husband's death, telling ABC News, "it wasn't his fault." Mitzi Wallace said searching for Fenn's treasure is something she and her husband "did together as a hobby" and it served as "a motivation to get out in nature." "Paris knew his Lord, and it was time for him to go home," Mitzi Wallace added. "Searching for the treasure, and having the time we had together, it was wonderful." Mitzi Wallace said she may even still go searching for Fenn's treasure with her two sons, aged 19 and 21, saying "we may, because we enjoy the outdoors, we enjoy hiking." The pastor's wife added that she is "thankful" to Fenn for "giving us an adventure." Earlier this week, Fenn issued a statement mourning the death of Paris Wallace, saying the loss "is tragic and it has impacted me in a profound way. My heart and prayers go out to Mrs. Wallace, his friends, and to his congregation. I am so sorry." In response to calls for him to put an end to the treasure hunt that has taken a deadly turn, Fenn told ABC News in a statement, "I have given a lot of thought about ending the search, but I am not sure what that would accomplish." "An average of 9 people lose their lives each year at the Grand Canyon, but there is no call to close it," Fenn added. "I have said that my treasure is not hidden in a dangerous place, so why are people searching in dangerous places?"